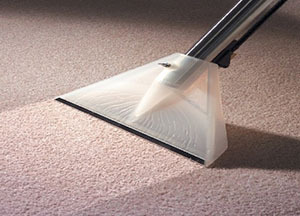 DMC offer Carpet Cleaning Services in Milton Keynes. Our highly skilled and experienced team will help develop a custom carpet-cleaning programme to suit your needs. We take pride in providing the highest level of cleaning leaving your carpets in great condition and providing a pleasant place to work in. Our professional team can help maintain and protect your flooring, resulting them to have a longer life and a nice environment to work in. We will work with you to identify heavy, moderate and light traffic areas and ensure they have the right cleaning treatment for those areas. Professional image – At DMC we understand first impressions count, we help to create a clean environment, leaving a professional impression for your visitors and staff. Cost effective – By providing regular maintenance to your carpets it gives your carpets a longer life, saving you money. Eliminate Allergies – By regular professional cleaning helps reduce dust mites, grime and dust, resulting in less allergies within the premises. Flexibility - We work flexible hours including evening and weekends, allowing us to work at a time that is most convenient for you. Guaranteed - We take pride in our customer satisfaction and will always be happy to assist with any problems. Our team is fully trained and dedicated to helping our customers. They have a knowledgeable background in understanding high level cleaning and will work closely with you to insure you have a service that caters for your needs. If you would like to book an appointment for carpet cleaning within the Milton Keynes area please contact us today.